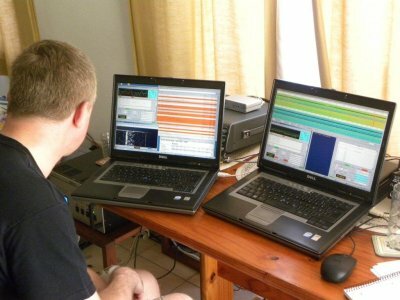 Angelo, DM1AC, operates the VP9I EME station. 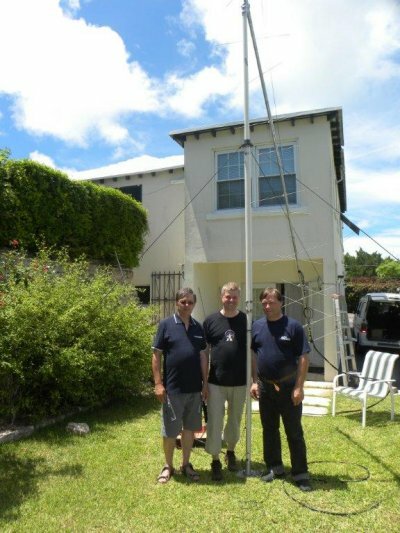 This is the first EME digital QSOs from VP9. 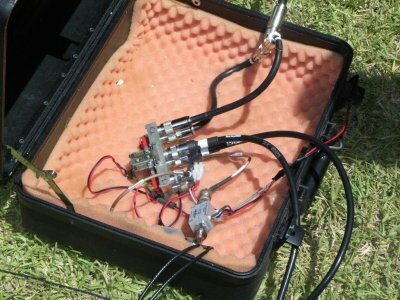 Tommy VP9IB used CW for moon-bounce during the 1990s. Coax connections for 6 metres, 70 cm and 2 metres. 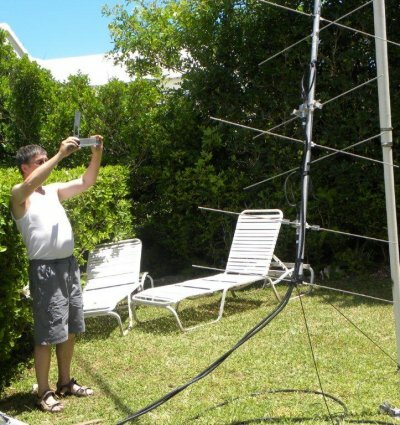 Jo DL9MS checks the elevation of the 6 metre Yagi. A compass was used to determine azimuth.